Just a stone’s throw from Singapore, the Anambas Islands still feel blissfully remote. This small archipelago rises from the South China Sea to the east of the Malay Archipelago. 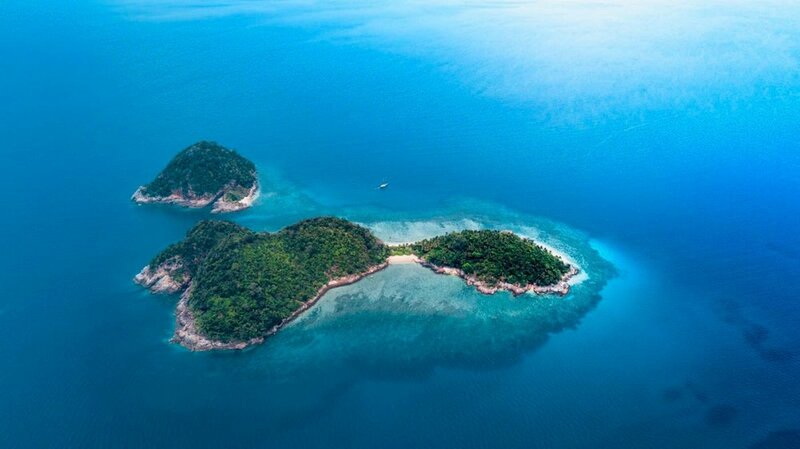 Across around 250 islands, just a tenth are inhabited and the remainder comprises idyllic, coral-fringed shores and rising hills coated in tropical forest. The Anambas’ inhabitants are largely Malay, but there are also communities of Chinese, Javanese, and people from West Kalimantan. Of the larger islands, Jemaja boasts plenty of appeal with its secluded bays, deserted beaches, jungle and waterfalls. On the south coast, the town of Letung and nearby village Pantai Malang offer a unique insight into life in these remote islands. The capital of the Anambas is Tarempa, a bustling port on the island of Siantan and the beating heart of the archipelago. When cruising among these tropical isles, you can expect to find secluded palm-lined lagoons, forests inhabited by macaques and sea eagles, mangroves that serve as a nursery for baby black tips and eagle rays, and plenty of beautiful coves and beaches lapped with clear waters that reveal colourful reefs beneath the surface. WHEN TO CHARTER A YACHT: The Anambas Islands are best visited between March and October.